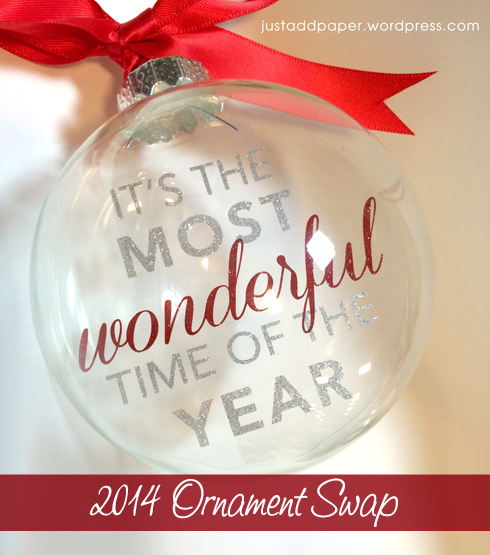 I have been dying to publish this post, being a part of an ornament swap has totally got me in the holiday spirit early this year, and boy do I have a great swap for you! 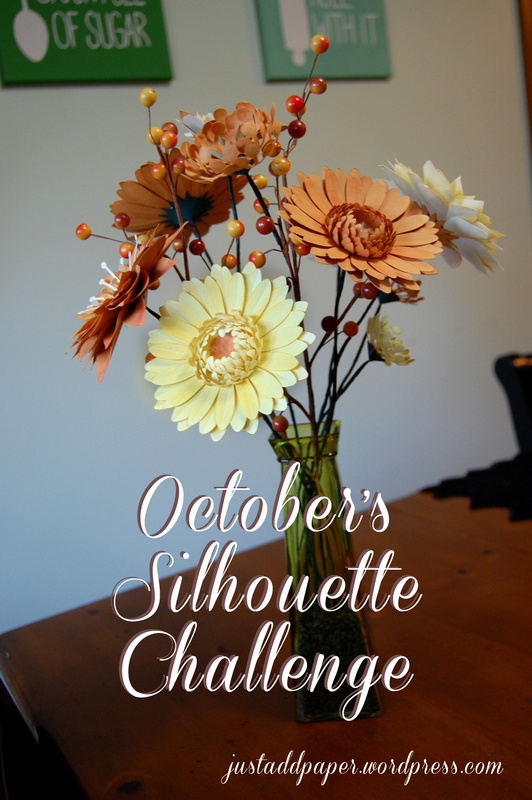 If you’re a new silhouette user, I definitely recommend joining one of the many silhouette groups and challenging yourself with a project you might not complete otherwise. In my case, it was an ornament swap hosted by the Silhouette Challenge Group (if you’re interested, check the group out here and apply to join – seriously, it’s the best thing I’ve done since the purchase of my Silhouette). I was partnered up with the fabulous Jeanie Hevener, of Create & Babble, and the goal was simple: find out some basics from your partner and create an ornament to adorn their christmas tree! Besides exchanging emails, I did some research and lucky for me Jeanie published a blog a while back that featured her christmas tree and its styling so I knew right away that red and silver glitter would be a nice color scheme to work with. When it came to deciding on what to actually create, I knew I was going to go the glass bulb route having seen some really cool designs on Pinterest. 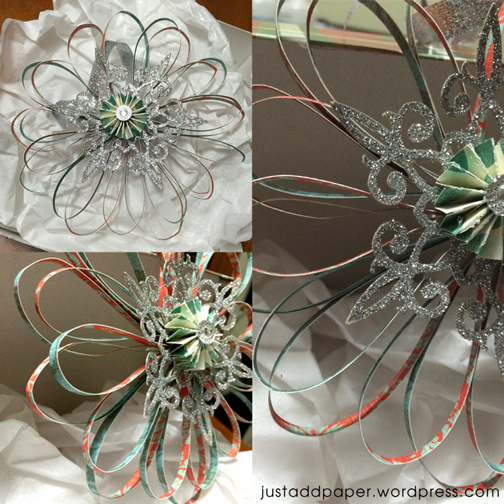 I decided on the floating ornament after finding this amazing blog post detailing how easy the process was and got to work drafting up something fun to actually cut. I decided to go with song lyrics from one of the classics, It’s the Most Wonderful Time of the Year. I prefer to design my artwork in Adobe inDesign first, export as a jpg and then open in the Silhouette Design Studio and trace, rather than work in the studio, but you could easily have made the file straight from your Design Studio. In addition to the software, you’ll also need vinyl, a clear glass bulb and transfer paper. The transfer paper can be cut to fit inside the bulbs. To figure out the transfer paper, simply create a circle in your Design Studio that is the slightly smaller than the diameter of your ornament. In my case it was 80mm and so I made my circle to 3.1″ then I welded a square to the top of the circle so the insert wouldn’t slide around in the bulb. Once you’ve cut your inserts appropriately you can cut your vinyl to go on top. I placed my silver text first with the red on top for a layered look. Once your insert is complete you can roll it up and stuff it in the ornament! It’s really that simple, and the possibilities are endless. Since creating my first floating ornament for my swap partner, I’ve completed another 10 for friends and family. I’ll do a big reveal before they all get boxed and wrapped for gifting next month! And now for the reveal of the ornament I recieved from Jeanie! It’s perfect! The colors are supurb, I told Jeanie I was more non-traditional and the paper choice on the looped paper was the perfect choice. I love the bling on the center too! Just enough sparkle! So a big thanks to Jeanie for my fabulous new ornament and to Shannon Liljestrom-Abele for organizing the swap on behalf of the SIlhouette Challenge Group! Can’t wait until next year! I know I intended for the blog to be entirely paper related but I couldn’t help myself. 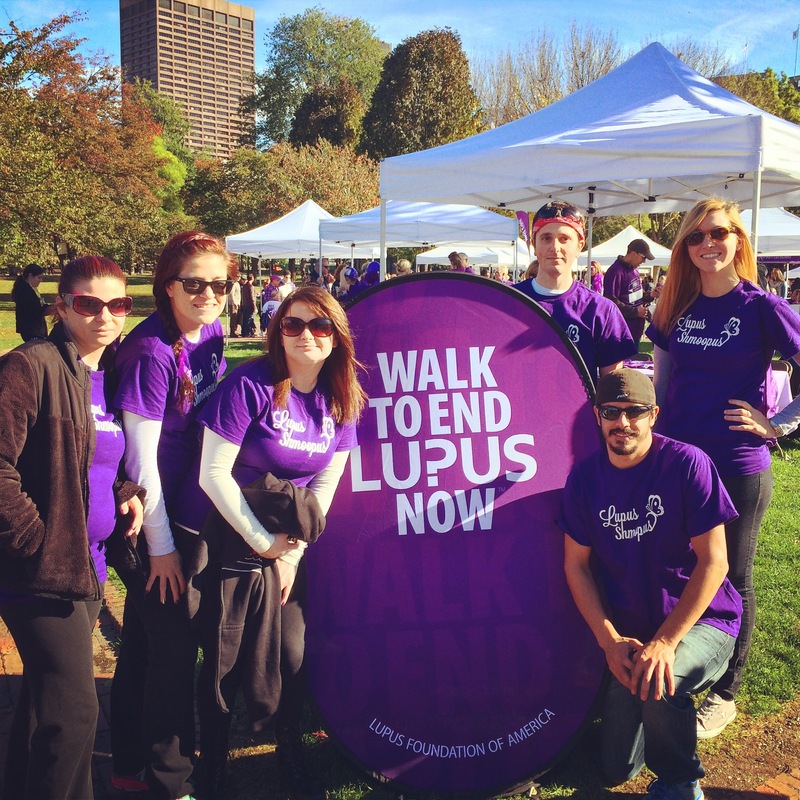 This past Saturday, myself and five friends all walked together to raise money for the Lupus Foundation of America at the Walk to End Lupus Now in Boston, MA. My best friend 26 years was diagnosed with Lupus at the age of 13. By 14 she was on chemotherapy and I am so happy to report that now, at 26, she is nearly off of all her medications that keep her Lupus under control – which means she is extremely close to remission. Interestingly enough, even though the disease is not proven to be hereditary, her cousin was also diagnosed with it at 16 and has since gone through a kidney transplant. Her transplant unfortunately was rejected by her body and she will likely be on dialysis for the rest of her life. As you can imagine, both of these ladies have gone through extreme amounts of pain and anxiety. There is still so much unknown about this disease which means fighting it is a constant uphill battle. Now — to tie this all into my craft-happy blog, you may or may not have noticed the snazzy shirts our team wore – I created those using my Silhouette Cameo, and I couldn’t be more happy with the end result. I came up with logo design and created it in Adobe Illustrator, I imported the design into the Silhouette Design Studio and Viola – six heat transfers later we had team shirts. Of course a glass (or three) of wine also helps the process and made for a much more enjoyable crafting night. I’m so happy to report that our team raised over $750!! 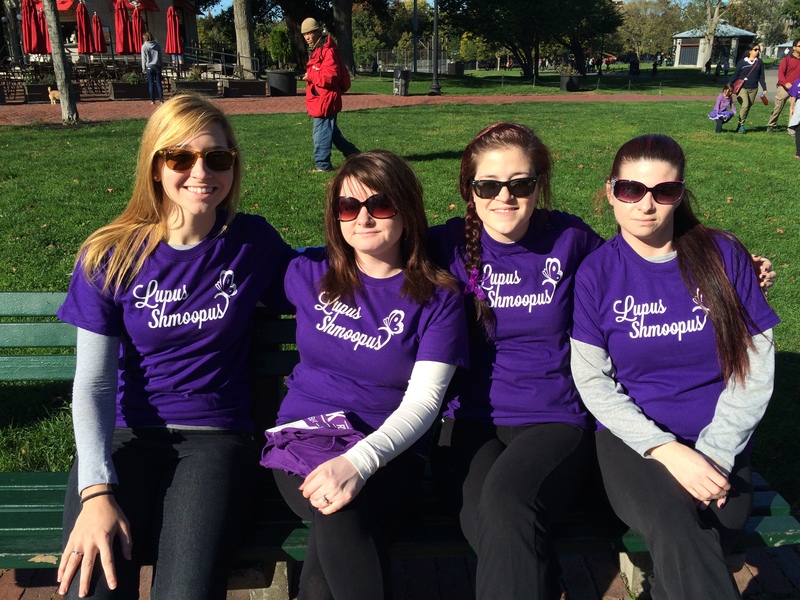 And between us and the rest of the Boston walkers we raised over $115,000 for research. I do hope you’ll take a moment to learn more about Lupus and all those effected by it and if you know someone or you yourself are effected by Lupus feel free to share in the comments section! Hopefully one day we can learn enough about this disease to find a cure so that all effected can say, ya lupus shmoopus! Well hello again world! I’m back to crafting and couldn’t be more excited about it. Work is still crazy busy but I’m promising myself to make more time for crafting and sharing some of it with the world. So without any further ado, let me start by saying how excited I am to be taking part in my first Silhouette Challenge! I signed up for the Silhouette Challenge group to get myself thinking of some different ways to use the silhouette, and of course to be inspired. If you’re in need of inspiration, check out the links at the bottom of this post for more fantastic silhouette projects! This month the theme is Fall and I’ll be honest I had a hard time choosing just one project to highlight. Since the purchase of my silhouette I have been a busy bee, cutting, folding, molding, ironing and more. It’s truly amazing what this little baby can do and if you’re not familiar with the hardware definitely take a moment to check it all out. 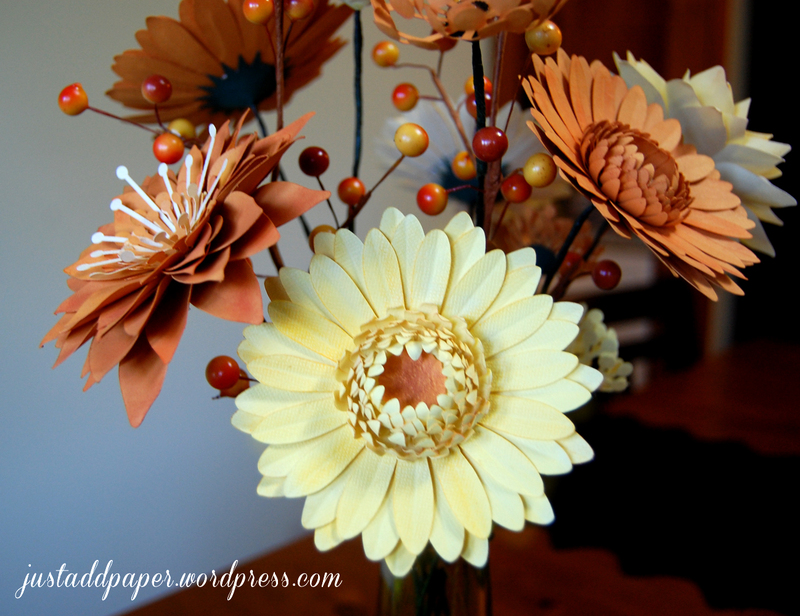 I decided my favorite Fall project so far has been my floral arrangement made from hand crafted paper flowers! Now, not only was this my first attempt at flower making with paper, it was also one of my first big silhouette projects that required taking non .svg files and converting them into something the silhouette design studio could work with. 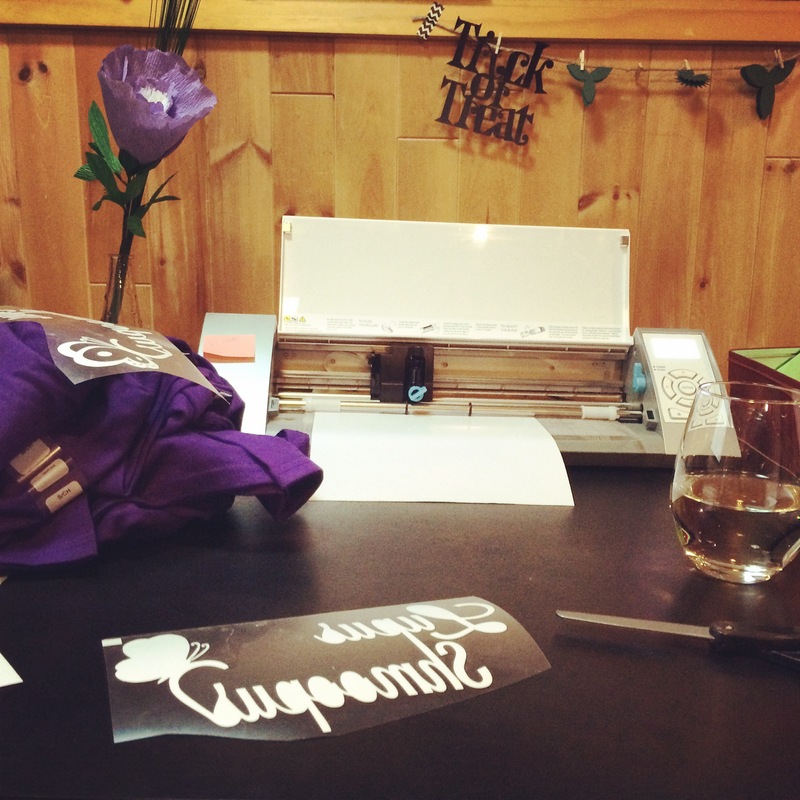 I was a nervous wreck sending my first file to the machine but thanks to the fabulous Silhouette School I was able to figure out the basics of tracing and tweaking images for printing. In my arrangement you’ll see three kinds of flowers. My favorite, the Gerbera daisies are from a Lia Griffith template. If you’re not familiar with her site and have any interest in flower making at all, please do go and check her out. She’s amazingly talented and her tutorials made this process so simple. 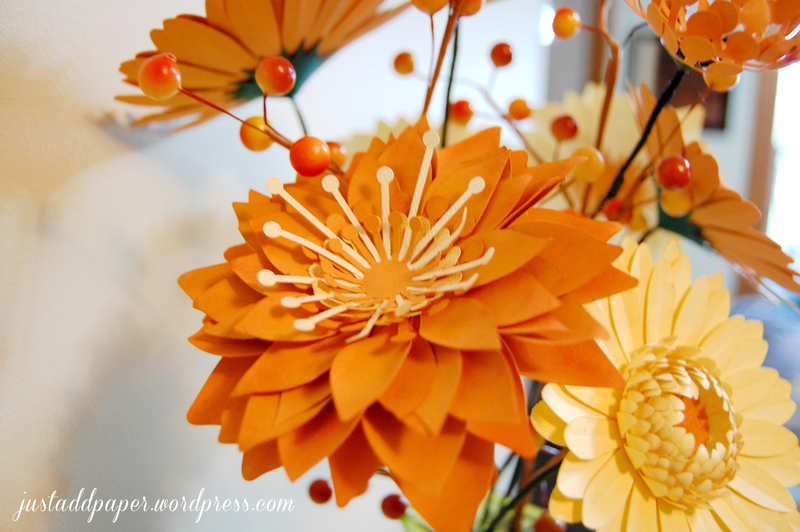 The next set of flowers are 3D Mums found in the Silhouette store. While they look nothing like any mum I’ve ever encountered, they are stunning and a perfect addition to my bouquet. The final flowers are 3D Queen Anne’s Lace, and they can also be found in the Silhouette store. So how did I do it? Well I started by cutting all my shapes. Because I had a semi dull blade in my silhouette (I’ve got to get every last cut for my money) I went on the slowest cutting speed which meant while the machine was working, so was I. In-between weeding I started molding my petals using some of my paper tole tools. The tools are definitely not accessory, you can do all the molding by hand, but I liked that I could get super precise with shaping and smoothing. If you’re interested in getting your own set, check out Paper Tole Supply, they have everything. Once I had everything cut and molded to the right shapes I took it one step further and busted out my soft chalk set and started painting on some color to give each petal some extra depth. The slight change in color from one petal to the next was hard to capture on camera but it makes a big impact in person. After chalking, I fired up the glue gun and started putting it all together. For the Queen Anne’s Lace I added some embellishments to the center for some extra pizazz. Finally I used some floral tape to get them on wired stems and had a blast arranging them in my awesome dollar store vase! I added in some fall berries I picked up at Michaels to fill in some gaps, but other than that – the entire arrangement is paper! The entire project took a little under four hours and was perfect for completing while watching back to back Nicholas Sparks movies! Here is the finished arrangement in it’s final resting place. I couldn’t be more thrilled with the way my project came out! It looks fantastic and I learned a lot about my machine along the way. If you’re planning on doing a project like this, keep in mind that flowers are organic and therefore they are imperfect and that is perfectly fine! That means if your machine accidentally lobs off one of the Queen Anne’s Lace petals, its no big deal! In fact, I don’t think any of my Queen Anne’s Lace petals are whole, but that makes it more realistic! Jeeze almost a year later and I’m now one of the sad statistical Blog starters who doesn’t keep up. To be fair, I started the blog to occupy time where I wasn’t working and almost a week after my last post I found a great job. But it’s time to get back in the saddle because now I’m doing so much more than just printables. I’m talking cutables, moldables, foldables and so much more. I got a Sillhouette Cameo about a month ago and I’m straight up obsessed. I can’t wait to start sharing projects and promoting creativity. Like many of you, Friday is the best day of the week… especially Friday at 5pm! 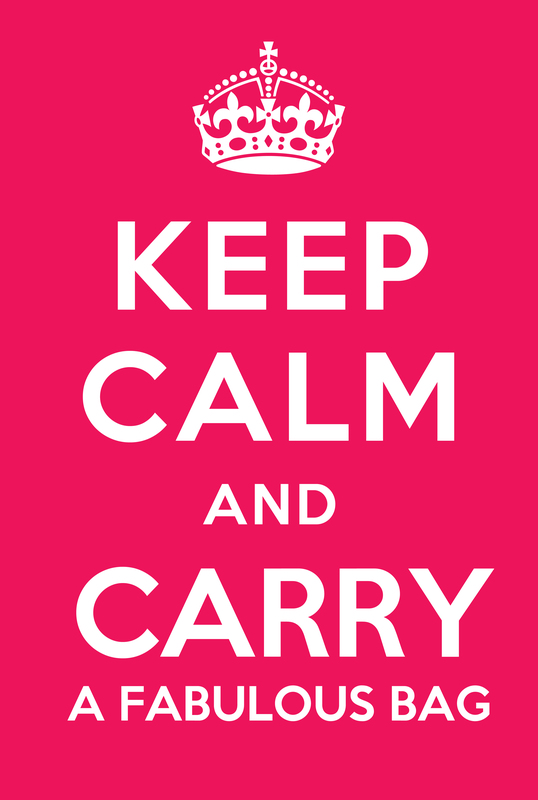 In light of Friday being the day you get to drink/shop/eat/insert other vice here, I thought it may be the perfect day to post some “Keep Calm & Carry On” graphics. We’ve all seen these graphics and I’ve even seen some being incorporated into advertisements and marketing plans. 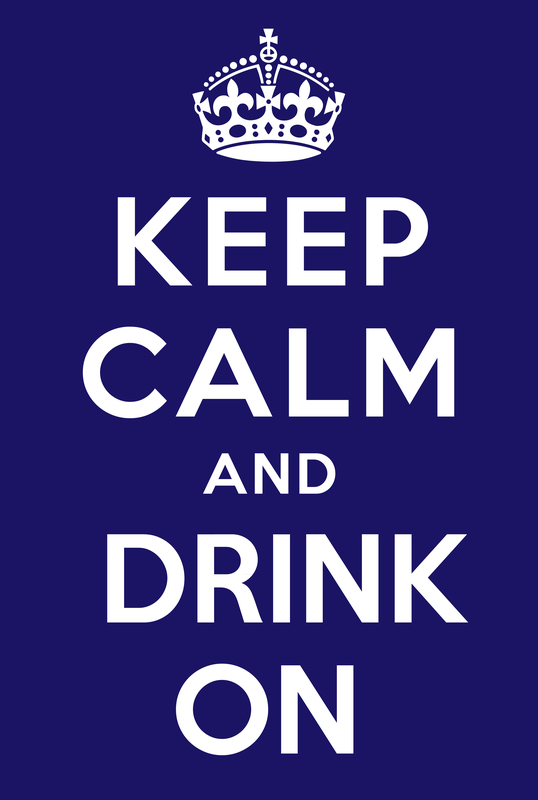 They can be easily customized, so from hence forth: I declare Fridays to be Keep Calm Fridays! 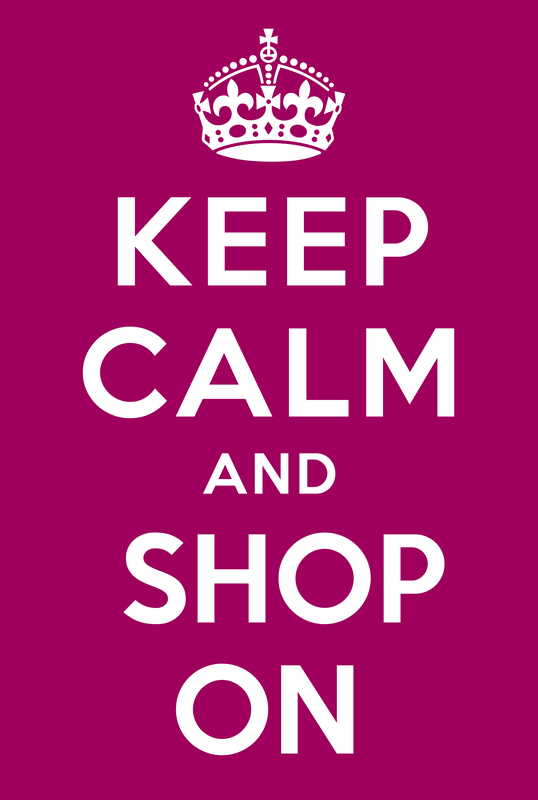 I shall post at least one (if not a few) Keep Calm graphics for your printing pleasure. If your feeling really calm, try printing and framing the Keep Calm images, there’s so many to use you can swap them out daily if you’d like! I’m starting this blog today for a couple reasons… to start, I’m out of work and need something to occupy my time besides job applications. I was working as an advertising coordinator and graphic designer in my last position, but I’m now looking to expand my design prowess and hopefully gain employment as a full time graphic designer. All the experts (ok, they may not be experts) say a graphic designer needs to have a blog to showcase some of their design work. That sounded a little bit boring to me, though… do people really want to look at my past work? Instead I thought bigger… One of my favorite online hobbies is scouring Pinterest for fun and new design or craft inspirations. This is where my brilliant idea came – what if I composed a blog that people would want to link to on Pinterest! Most of my Pins are of tutorials or printables… so why not compose a blog of printables!? (Insert beaming lightbulb over head) So here we are, I’m starting today with a plan to produce printables for a captive audience to use and hopefully repin them all over the pinterest boards! From calendars to cards I’m looking to expand my portfolio and give the readers something to get excited print. And there you have it, all you need to do is just add paper!